It’s not often that I stray from whatever reading agenda I set for myself. Taking recommendations is something I’m trying to get better at as a reader in a community of readers. So when my librarian-friend hand-sold me Invisible Man, Got the Whole World Watching: A Young Black Man’s Education during a conversation about how to catalog certain types of books to improve circulation, I jumped on the chance to have the first book I read in 2018 be one that someone had recommended. 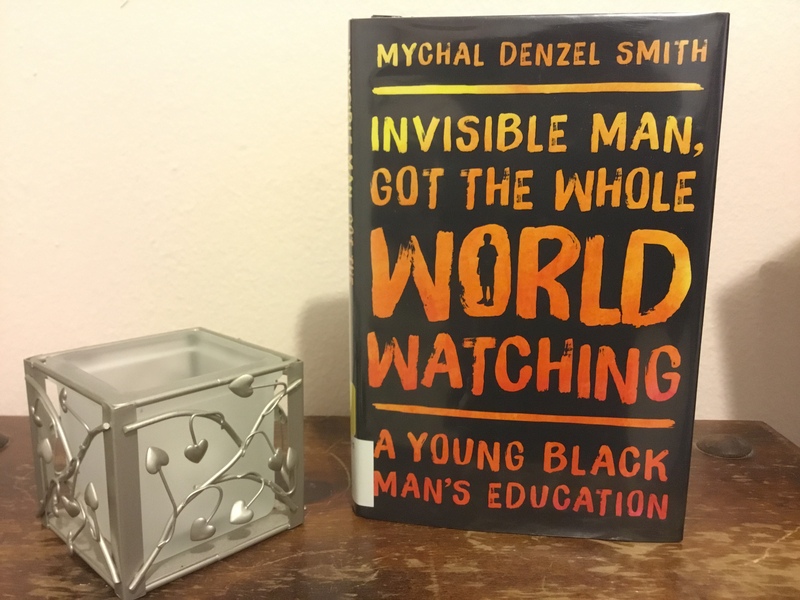 Mychal Denzel Smith is a millennial, which for me as a reader, makes his analysis of society, culture, and blackness (mostly black male-ness) that he places in the context of his upbringing and college years, ring true. As I was reading, I couldn’t help but think about my brothers and how they would react to the ideas that black men seem to want to say their oppression is the worst oppression, while simultaneously oppressing black women, the people who will always cape for them. I wonder how they would react to the way in which Smith grapples with homophobia. Really, there are a lot of things I wonder. I felt like this was Between the World and Me meets Makes Me Wanna Holler. I think that Invisible Man, Got the Whole World Watching will do for the next generation what Makes Me Wanna Holler did for me – in helping me understand the generation of my parents. 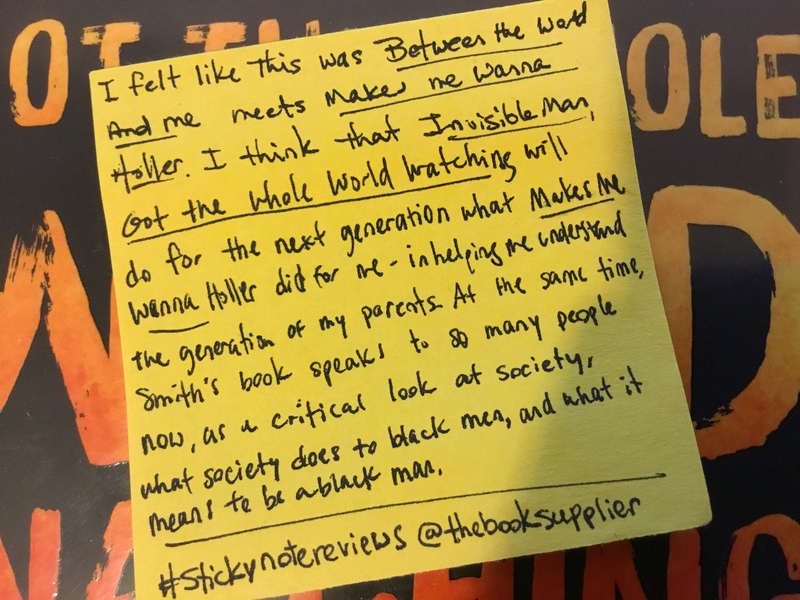 At the same time, Smith’s book speaks to so many people now, as a critical look at society, what society does to black men, and what it means to be a black man.